INE is the premier provider of Technical Training for the IT industry. INE is revolutionizing the digital learning industry through the implementation of adaptive technologies and a proven method of hands on training experiences. INE’s portfolio of trainings is built for levels of technical learning specializing in advanced networking technologies, next generation security and infrastructure programming and development. INE’s mission is to be your trusted partner in reaching your professional goals. INE has cultivated innovative content and teaching methods, delivered through cutting edge technology and disseminated by the most esteemed instructors in the world. Over the past 14 years, INE has helped tens of thousands of IT professionals achieve their goals and countless Fortune 500 companies build a world class technical organization fully prepared for tomorrow’s challenges. At the age of 20, Brian McGahan earned his first CCIE in Routing & Switching, and became known as the “youngest engineer in the world.” He continued on to earn CCIE certifications in Security, Service Provider, and Data Center. 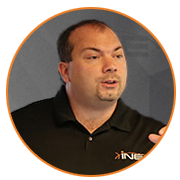 Brian has developed and taught for INE since 2002, setting the bar for CCIE training and helping thousands of engineers obtain their own certifications--we’re proud to have such an accomplished and driven instructor on the INE team. When he is not developing new products for INE, he consults with large ISPs and enterprise customers. You may contact Brian McGahan at bmcgahan@ine.com or find him helping others in INE’s IEOC Community Forum. 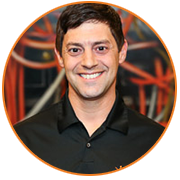 Dave has more than 20 years of experience in the networking field, and has spent most of those working with Cisco gear. After earning his CCNA in 1999 and his CCNP in 2000, he soon began teaching to help others earn their certifications. 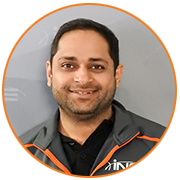 He earned his CCIE in Routing & Switching in 2007 and has been teaching CCIE bootcamps ever since. He also consults for several small and enterprise-level customers. Dave just passed his CCIE Data Center certification and is currently studying to add CCIE Service Provider and CCDE certifications to his list of credentials. When he’s not studying, teaching, or consulting, Dave can be found spending time with his family and off-roading in his Jeep. You may contact Dave Smith at dsmith@ine.com or find him helping others in INE’s IEOC Community Forum. Keith started his networking career as customer service representative at Cisco Systems in 1996. His desire to learn more soon led him to a position as a Cisco Technical Assistance Center (TAC) engineer on the “Dial-Access” team, and within six months he had obtained his Dial-ISP CCIE. He later became a network consulting engineer and obtained his CCNA certification while teaching the technologies to Cisco employees during his lunch breaks. 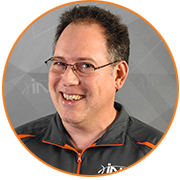 Keith was the first instructor on Cisco’s TAC Training team, where he taught a wide range of internetworking topics and later developed and taught other courses such as routing protocols, LAN switching, MPLS, 802.1x, and CCNA. After almost 17 years with Cisco, Keith joined a small startup and focused on 802.11 Wi-Fi technologies, during which time he obtained his CWNA certification. He is now very happy to be working with INE as an instructor for Routing & Switching. Keith lives in Raleigh, North Carolina, with his wife, son, and daughter. When he is not teaching INE Bootcamps, Keith can be found at home with his family, reading, or working in the yard. You may contact Keith Bogart at kbogart@ine.com or find him helping others in INE’s IEOC Community Forum. 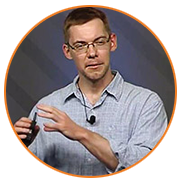 Piotr Kaluzny has been in the IT field since 2002 when he was exposed to networking and programming during his studies. His career in production networks began in 2007, right after graduating with MSc in Computer Science. Piotr quickly progressed his career by working for multiple enterprise and non-enterprise companies in different Routing and Switching and Security roles, with his responsibilities ranging from operations and engineering to consulting and management. Since the very beginning Piotr has been heavily focused on the Security track to finally prove his skills in 2009 by passing the CCIE Security certification exam (#25665) in the first attempt (he also holds R&S and Security CCNP and CCNA certifications). You may contact Piotr at pkaluzny@ine.com. You might say that Mark Snow began his networking career at the age of five, when his father, a patented research scientist at AT&T Bell Laboratories, started sharing his knowledge with Mark. He has been working with data and voice technology ever since, beginning with Unix System V and basic analog telephony and progressing to large data networking projects and large phone systems in both enterprise and 911 PSAP environments around the world. 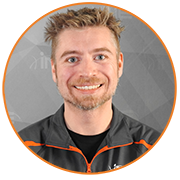 You’ll see Mark in all of INE’s Voice video courses and live Bootcamps. Mark Snow is also an accomplished pilot, and when he isn’t learning, labing, consulting, or teaching, he can be found jumping out of a perfectly good airplane, hanging off a rock somewhere, skiing out west, or just enjoying a quiet day at the beach with his wife and two wonderful kids. You may contact Mark Snow at msnow@ine.com, follow him on Twitter, or find him helping others in INE’s IEOC Community Forum.